The dog days of winter are officially upon us – those often dreary months when the “winter wonderland” we walked through in December now feels a bit more like a tundra, and the promise of May flowers (or even April showers) seems forever away. When days are impossibly short and the weather is sometimes impossibly cold, it’s easy to find yourself stuck in a monotonous routine that can feel like treading water until the ground thaws. But fear not! There are lots of great indoor hobbies that can make these tedious winter months more fun and fulfilling. Here are 10 great hobbies to try… and you don’t even have to take off your slippers. 1) Go On A Documentary Binge: Choose a topic or historical event of interest to you, and odds are you’ll find a documentary to match. If you’re not sure where to start, a quick online search of “top documentaries” will give you plenty of lists to consider. And whether you end up captivated, angry, awed, or delighted, you’ll probably learn something (which is more than can be said for most ‘reality’ tv). 2) Get Creative in the Kitchen (or for some of us…simply get in the kitchen): Cooking is one of those things that is a deep-level passion for some and something to be avoided at all costs for others. But no matter which camp you fall into, winter is a perfect time to get in the kitchen and try a new recipe or two. Perhaps you’ll discover a newfound passion for baking (and your family is sure to enjoy the spoils. After all, even most #Pinterestfail desserts still taste delicious…). Or maybe a hearty winter soup sounds more interesting to try? And if your creativity ends up burning, scorching, or melting all over your pots and pans, S.O.S® Soap Pads have you covered: Just wet the pad, scrub, rinse… and bring on the next attempt! 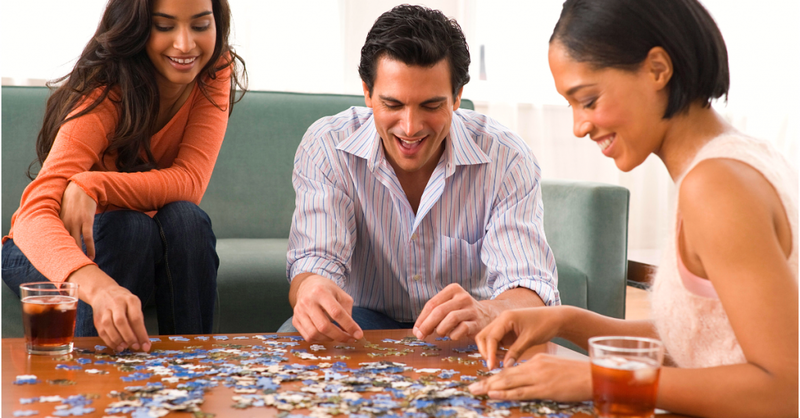 3) Puzzle it Out: Doing a puzzle can be oddly therapeutic…and addicting. From pop culture pictures to scenic landscapes, there are designs for every taste. This is a fun project to tackle as a family, too. You might want to clear off an un-used table and designate it as the official puzzle area, as most complicated puzzles won’t be completed in one sitting. But whether you have 5 minutes or 2 hours, this is an activity that most people will enjoy. 5) Scrapbook: Scrapbooking is a hobby that can be enjoyed now and years down the line, as the time spent selecting photos, backgrounds, and graphics creates a lifelong keepsake in the end. You might want to consider starting small: a special event or vacation is an easier starting point than say, your child’s 1st year of life. Invest in a small assortment of themed paper and stickers as opposed to diving into expensive scrapbook sets until you’re sure it’s a hobby you enjoy. 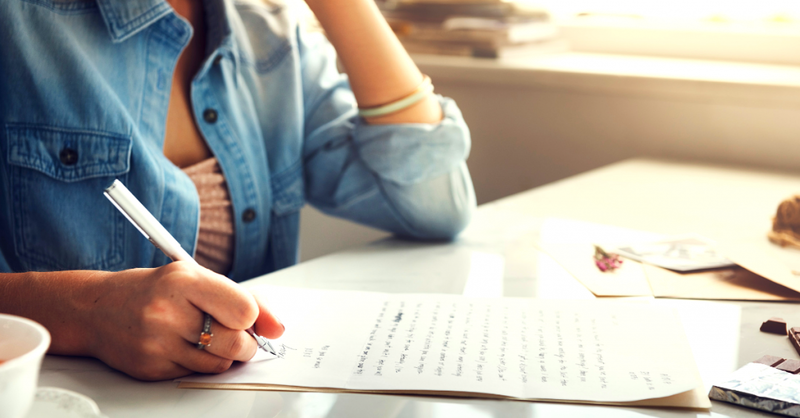 6) Write letters: Another lost art form! The technology that allows us to text and email anyone across the globe instantly is amazing. But there’s something to be said for the sentiment and beauty of a hand-written letter. Consider reaching out to an old friend, surprising your mom with an unexpected note, or even writing letters for the future. A few years from now your children, or even your future self, might enjoy hearing what was on your mind. 8) Gear up for gardening: It may not feel like it, but spring WILL arrive eventually. Why not use this time to plan a summer garden? If you’ve never had a garden, first consider your options for the best place to plant one. Then head to the library or go online to research and plan what type of flowers or vegetables you’d like to plant. You can also get a jump on spring gardening prep work by cleaning up your garden tools, pots, and planters. Just grab an S.O.S® Soap Pad and any rust, dirt, or grime will be gone in no time! 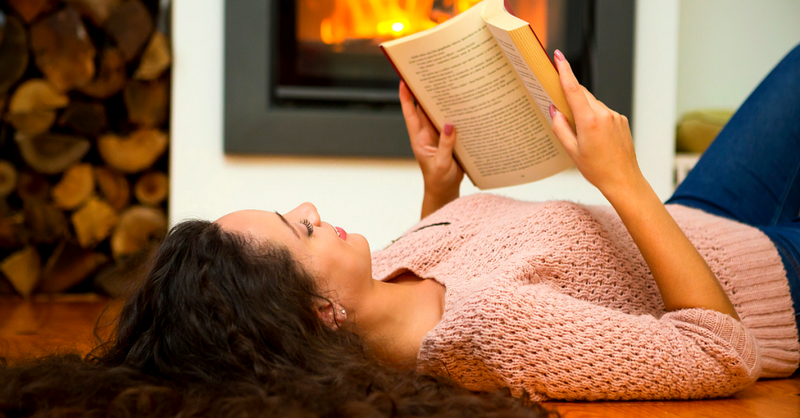 10) Read: Always a perfect winter activity go-to! Whether you fancy murder mysteries, sci-fi, political thrillers or sentimental romance novels, getting lost in a good book is still one of life’s great pleasures. And if you’ve got children or grandchildren at home? An added bonus is the positive influence it will have on their attitude towards reading! If you collect sea shells, winter time is the best time to clean and organise your shells. You can also make those cute things you have seen in craft shows. Or plan your next beach (for shells) or river (for fossils) trip. The tie blankets are a great idea & fun to do with kids old enough to tie 2! Love puzzles and have been getting back into reading as of late. Great suggestions.